Daniel has been the owner/operator of Vertech IT Services since 2010. 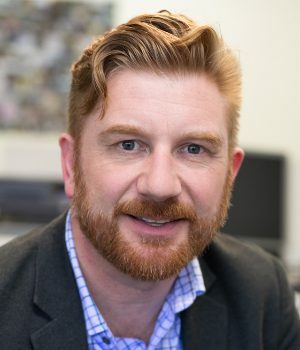 His areas of focus include creative IT and Cloud Based solutions, business development, and out of the box Technical Solutions. He loves meeting with clients and working out creative IT strategies that will make a real difference to their business as a whole. He has a natural leadership ability and is instrumental in developing solid growth strategies for his team at Vertech to ensure that they strive to deliver the best possible solutions and services to their clients at all times. Ben is a Massey University IT graduate with a quiet and conscientious demeanour. But that doesn’t stop him being at the cutting edge of IT. With a passion for helping people and finding solutions, Ben is our first point of contact for all our support queries. With a vast knowledge of multiple operating systems, software and hardware, he can support almost anything. 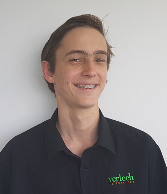 Since being at Vertech, he has quickly started building upon his skills, becoming a valuable asset to the company and our customers. If he isn’t walking customers through their issues, he is out kicking goals at the local rugby park. 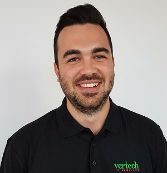 Duke has joined Vertech in March 2018 as an experienced System Engineer. He loves to support customers and solve their problems. 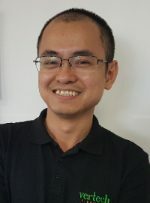 He can speak IT in simple English and always see opportunities to improve the process and make life easier for customers. Migrated to New Zealand in 2016 from Vietnam, Duke then fell in love with The Land of the Long White Cloud, and wants to stay here presently. In his free time, Duke loves to learn new technology, watch movies and try new foods with his wife Yuna and his little girl Cherry. Born and Bred in The Mother City, Cape Town, South Africa and recently landed in Auckland. 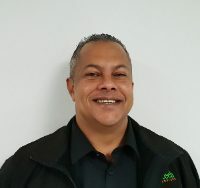 He strives to always deliver exceptional service and in his new role at Vertech, Lester will provide IT technical assistance to all our clients. Lester is married with 3 boys and looking forward to making New Zealand a permanent home for him and his family. In his spare time Lester loves the simple life, spending quality time with his family and watching his sons play football and cricket over weekends. Because his mother insists on feeding him this lad is growing like a weed and is secretly plotting to depose his dad and take control of the business. Little does he know but Dad is quite willing to train him up to be able to do so and in the meantime profits from nearly-slave labour. He absolutely loves getting assigned menial tasks around the office, wiping PC's, generating reports and generally helping out the guys with whatever he can after school. Loves: Pizza, Sparkling Duet, Youtube, and his Mum. A power house of Tongan manliness and raw networking intellect, forged in the fires of the NZ Army core of Logistics sent to do battle with the demons of TCP/IP.